The 3D SLM Printer aims to design, manufacture and commercialise high quality 3D metal printers using SLM (Selective Laser Melting) technology for the industrial, aeronautical, dental, prosthetic and prototyping sectors. This printing technology unlike the popular FDM 3D printers obtains end pieces with metallic materials and excellent mechanical qualities. In many cases, the pieces obtained with this technology are impossible to manufacture by other means. 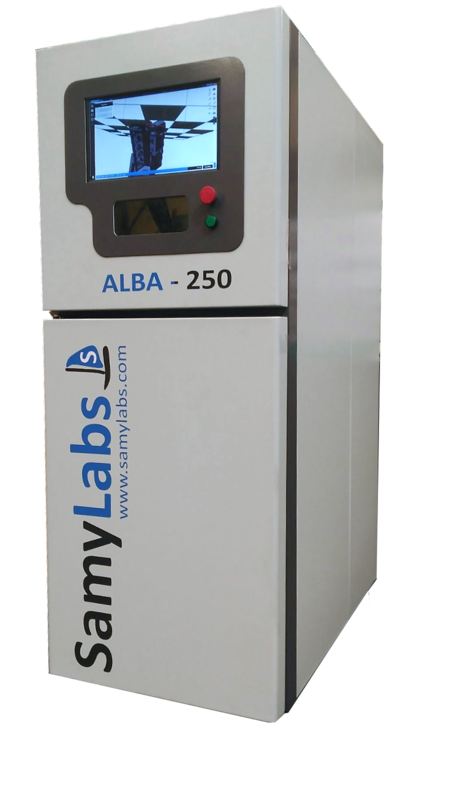 SamyLabs is a company created in November 2016 with the aim of developing 3D printers with SLM technology. The company is formed by three partners: Amador García Usabel , a naval engineer with extensive experience in the design, assemblage and commissioning of Industrial machinery and the owner and manager of the GAUSA SL company for the manufacturing of rubber products; Jon Martínez García, an engineer in Automation and Industrial Electronics with more than 10 years of experience in the sector that has programmed and implemented more than twenty robotic installations; Felix Torre Santos, a telecommunications Engineer with more than 20 years of experience as programmer (Java, C, C ++, Html5 ...) and who currently works as the Platform Manager of a leading software company, executing and directing BigData and Industry 4.0projects. Pioneers in the development of EDM technologies, ONA is the oldest manufacturer of EDM machines in the world, the first in the European Union and one of the most important worldwide. ONA Electroerosión is located in the Basque Country, heart of the Spanish machine tool sector.Our work is based on the experience and the conviction that technological knowledge is the guarantee of the best solution. That's why, since 1952, we put at your disposal our team of experts who have the necessary talent and knowhow to offer you customised solutions adapted to your needs. 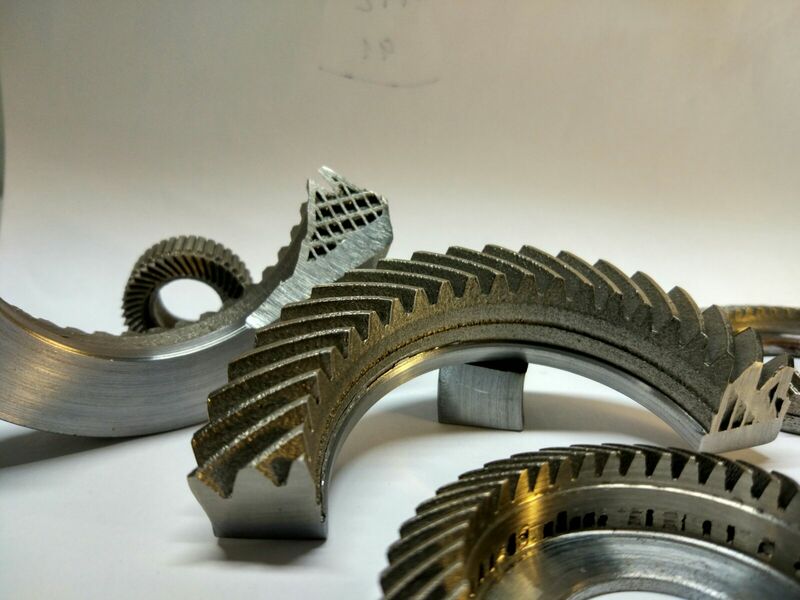 Thanks to the great research effort of our team of more than 150 people spread all over the world today, it is possible to offer the most profitable, precise and ecological solutions that exist in the field of EDM in the penetration and wire modalities. Hello, my name is Felix Torre, a telecommunications engineer. Together with my two partners, Amador and Jon, I founded the company SamyLabs. We have designed and built a 3D laser printer for metals, our Selective Laser Melting Technology. How did you join the OpenMaker community? In June of this year, we presented the prototype of our machine at the ADDIT 3D fair held in Bilbao. Our goal was to get to know and get in touch with manufacturers and investors to help us develop a commercial model for our printer. At the fair, we met the coordinators of the OpenMaker project in Spain, Tecnalia, who took interested in our project and invited us to join the OpenMaker platform. What are the main strengths of a maker-manufacturer partnership? As makers, we at SamyLabs have developed our version of a complex technology such as metal 3D printing. But the step from the prototype to the industrial product is even more complex for a small company alone. The high quality required and the high costs of product development make it almost impossible for us to reach the final product on our own. With the opportunity to collaboration with established manufacturers and investors facilitated by the OpenMaker project, our objective is now within our reach. Dream bigs! What would be your greatest achievement? SamyLabs has the illusion of popularising 3D printing for metals. It is currently an extremely expensive technology and is beyond the reach of makers, schools and small businesses. We want to bring SL 3d printers to the market with a fraction of the current price. 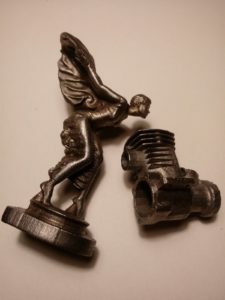 The benefits of having prototype metal parts for makers and small start-ups can revolutionise the sector by making new products and applications available thanks to custom metal pieces. Thanks to the OpenMaker project we have already established a partnership with an important machine tool manufacturer in the Basque Country. This has given us the possibility of creating an industrial version of our 3D SL printer to be marketed in record time. In the long term, we hope to remain contacted with the maker world as a source of inspiration and new ideas.